Standard 22 AWG stranded black wire. Use this for soldering wire or any project in which you need flexible wire. 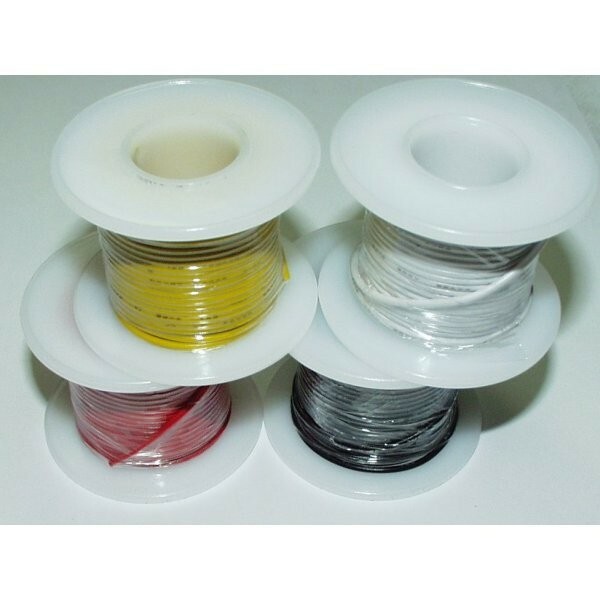 Stranded wire is recommended for projects where the wire has a bend or stress point. Comes in small spools of 25'.